I can recall, over the years, my mother advising me on a method best implemented for perfecting time management and memory skills. A navigational tool used to avoid the errors so frequently made through general carelessness and oversight. "Make a list", she would repeat on a daily basis, and be sure to constantly review, add, and eliminate as you progress through the day (week, month or year, for that matter). 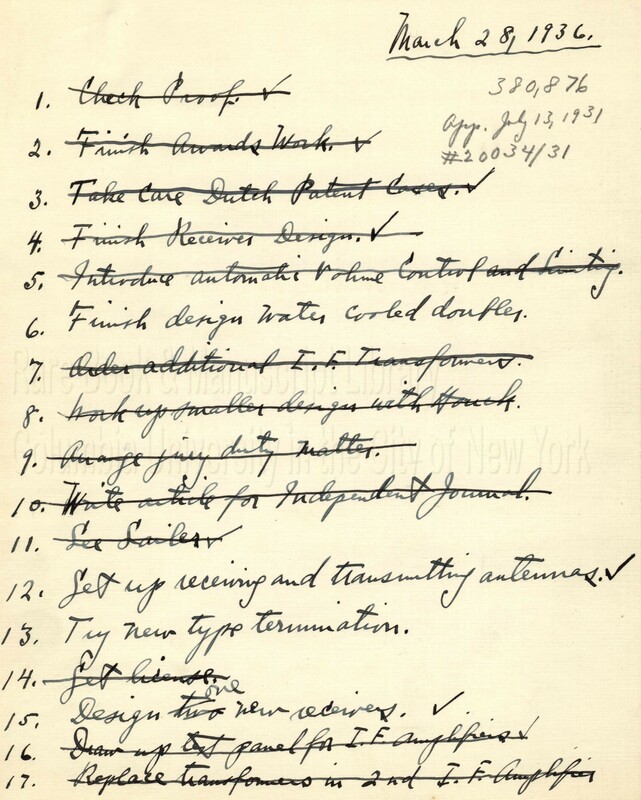 Not long ago, I recall reading about a book regarding checklists in the New York Times Book Review. The Checklist Manifesto: How to Get Things Right, by Atul Gawande was on the bestseller list for months. I can not claim to have read it, but after reading reviews of the book, it seems appropriate to mention it here. Mr. Gawande has apparently written how checklists, used in the medical profession, helped eliminate infections in hospital intensive care units. He expands on this idea, indicating that by extension, it can be applied to virtually any profession. Essentially, with the complexities involved in many of our daily lives, something as simple as a checklist can been seen as a reference tool–providing the steps we need to follow, in order to execute our responsibilities effectively and efficiently. For decades the aeronautical industry has used basic checklists for the many aspects of flight navigation and aircraft safety. From plane inspection, takeoff, and flight, to landing, and taxiing, these lists assist pilots where memory is inadequate. 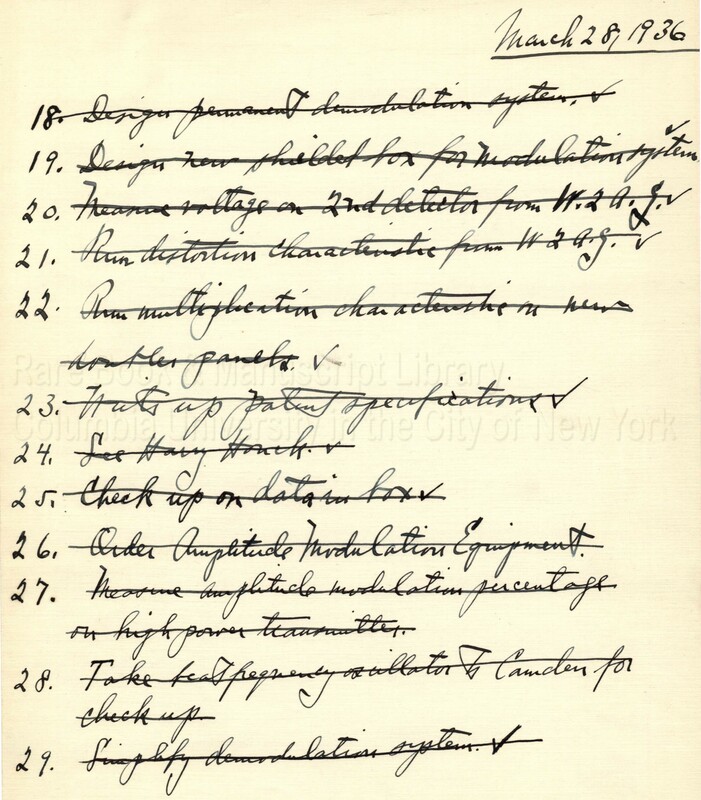 Going through this collection, I constantly come upon "checklists" that the Major created. As you can see through some examples here, many of these lists are more than a page long. A few he titled, as in the one seen here called "Patent Specifications." I suppose it is high time for me to admit it, my mother was right. 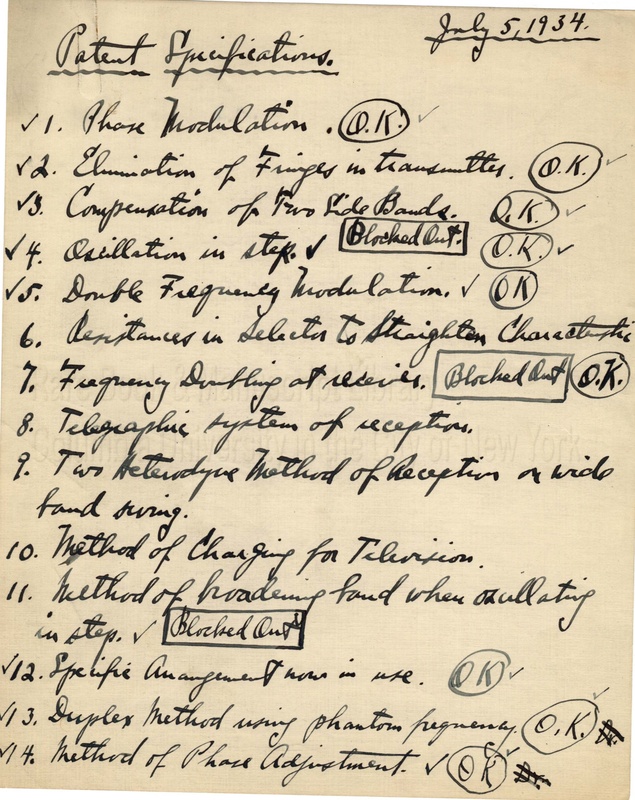 Given Major Armstrong’s lengthly list of accomplishments, making lists appears to be the way to go. 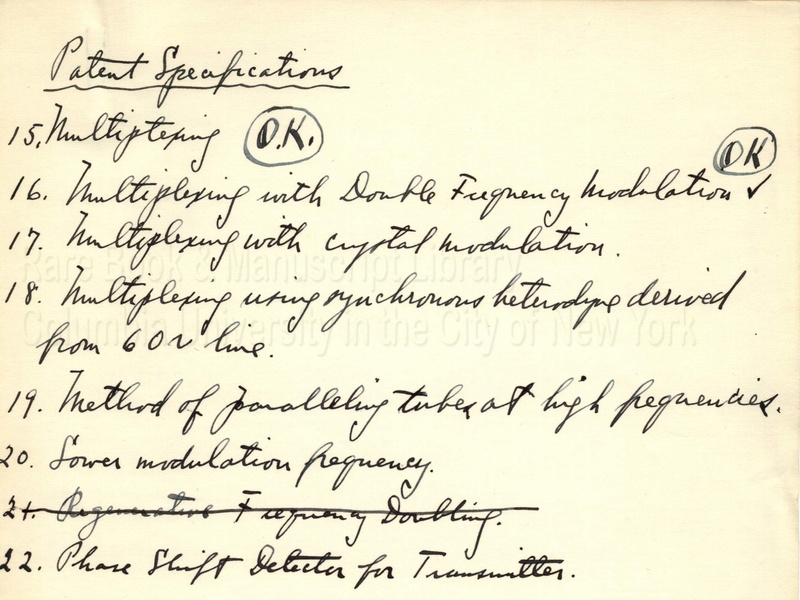 A great majority of the Major’s lists are related to his experimental work, but as seen in some examples here, many have "personal" obligations incorporated. One can not help but wonder how it is that Armstrong could have possibly retained, through memory only, results of hundreds of experiments executed days on end, spanning the course of decades, without some type of "aid." 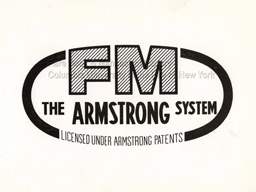 Armstrong would have had to remember those experiments that failed in order to perfect that experiment that succeeded. Only through constant attempts, with changes enacted along the way, could he have produced the precise and correct "one" that served to prove his original theory and thus lead to an invention. better idea of how he applied his ideas to the experiments that he developed. He was notorious for not leaving written accounts of this work. For obvious reasons, he was a bit secretive when undertaking experiments. Constantly having to fight for the right to claim his own inventions, it is not a surprise that these discoveries were kept to himself. 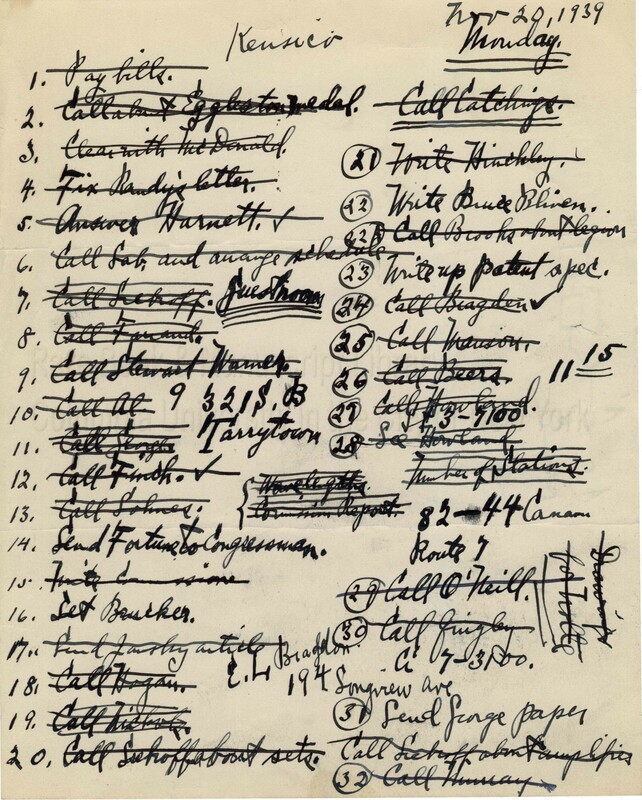 I hope that these "checklists" will help shed light on a least a portion of the Major’s life and daily activities. You will notice in the lists I have posted here, many of his "goals" are either crossed out, or checked off. Where there are items left unchecked or without a line through it (usually very few), should we infer he never in fact carried out that particular task? Perhaps instead, we should infer that he ran out of time that day. I, for one, can not fathom that the Major forgot anything…. This entry was posted in Popular and tagged experiment, invention, patent on April 26, 2010 by Jennifer Comins.